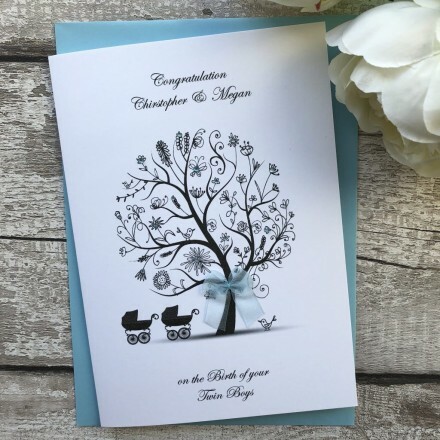 This card is the perfect choice to congratulate new parents on the birth of their new bundles of joy! This card features an image of a pink or blue diamond smattered tree styled with a chiffon bow. This handmade new baby card is teamed with a matching square envelope, protected in a sealed cellophane bag and sent to you in a double board outer envelope to ensure it arrives in pristine condition.